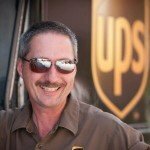 Many of you know my hubby is a UPS man. I’m real proud of him. He’s worked there almost 30 years and its about time for him to retire. He is currently doing my shipping and receiving, so many of you actually get to see his notes on your invoices. Some days, we talk on his bluetooth while he is delivering and I can tell how much he cares for his customers and treats them well. As do they treat him well. That being said, I was really pleased to see UPS highlight something near and dear to my heart, supporting charity gift knitting. Watch . . . . So what do you think? Did UPS do a good thing delivering this wish? Do you do charity or gift knitting? Tell me a little about it. Do you use a particular pattern and yarn every time? Or is it more eclectic and you knit whatever comes to mind and in whatever yarn presents itself? Do you have a link to the pattern you can share in the comments? If you would like to tackle some projects for charity knitting, here is a couple patterns to get you started. Basic Drop Stitch Tube Scarf pattern by Mary Anne Oger suitable for Bond Ultimate Sweater Machine or LK-150 knitting. Judi Gibson’s basic ribbed hat pattern for hand knitters, but could be knit flat and seams for machine knitting. In the future, we’ll have a place for you to upload these projects. But in the meantime, why not register for the Basic (free) version of ClubKnit and upload your pictures in the Community/Forum area? ?